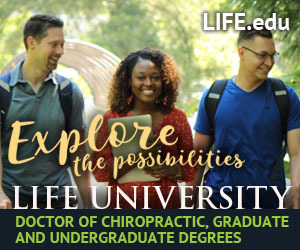 Peachtree City is a pioneer in many ways. 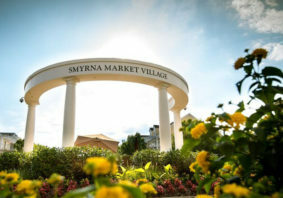 Developed in the 1950s, this unique master-planned community, which is located approximately 30 miles south of Atlanta in Fayette County, was designed to highlight specific features, from ample amounts of green space to neighborhood commercial centers to 100 miles of beautiful wooded golf cart paths. Interestingly, it’s those types of amenities that are highly coveted today in residential locations throughout metro Atlanta and beyond. 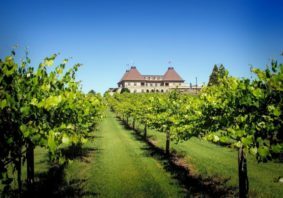 And they—as well as many other features—have been at the heart of this suburban “resort-style” paradise since the very beginning. 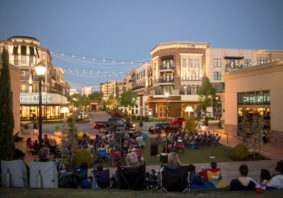 While “quality of life” means different things to different people, there’s one thing that everyone can agree on when it comes to Peachtree City: its roots as a master-planned community have allowed it to maintain a close-knit feeling among its residents. “The sense of community has always been the primary draw for Peachtree City,” Mayor Fleisch observes. 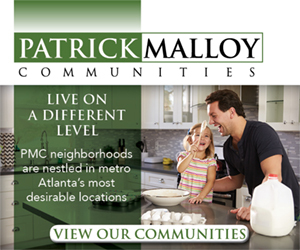 Comprising 25 square miles, Peachtree City has remained relatively small since its founding. Yet, it has everything residents could possibly want, including a robust residential market with diverse housing options in both established and new neighborhoods, one of the strongest school systems in the state, an ever-growing business community that’s home to an array of industry sectors, a thriving tourism trade and recreational offerings that speak to all ages—all accessible via the paved paths that traverse the city. “The sense of community has always been the primary draw for Peachtree City,” Mayor Fleisch observes. With so much success in its first decades, Peachtree City is preparing to take on the future with an array of initiatives. To start, its economic development efforts are attracting new businesses regularly to the area, which is ideal for companies that want a solid business environment coupled with easy access to both Atlanta and Hartsfield-Jackson Atlanta International Airport. “Peachtree City has the environment for business to succeed,” explains Megan Baker, business retention and expansion manager with the Fayette County Development Authority. “The city has identified target industry sectors for recruiting and adopted a tax incentive plan. Those target sectors include aerospace, corporate headquarters, film and creative media, info tech, life sciences and advanced manufacturing.” When new companies come to town, they share their business home with large, well-known organizations like Panasonic, Eaton and Hoshizaki, among many others. Additionally, the city has set its sights on infrastructure and the improvements needed to keep the community flourishing. 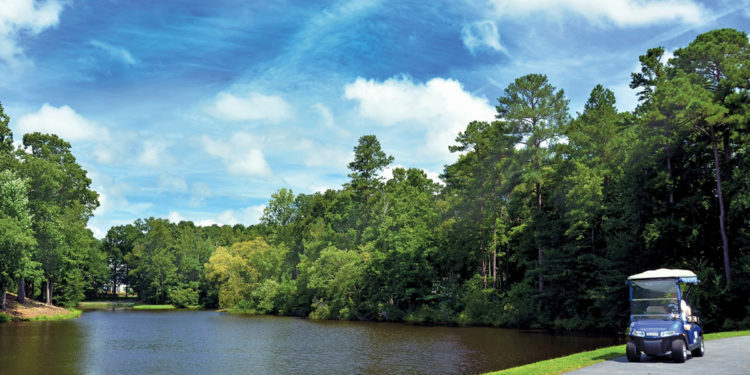 Mayor Fleisch states, “In Peachtree City, we have reached the age when many of our infrastructure facilities are reaching their life expectancy—things like storm water pipes, spillways and dams. We also looked at what our residents told us during our recent Comprehensive Plan Update” That input has led to the launch of numerous projects that will benefit everyone in the city. One of the largest projects is a new spillway for Lake Peachtree, which resides in the heart of the city. The new spillway design is a piano key weir, the first of its kind in the U.S. Also along the shore of Lake Peachtree, the city is completing the development of Drake Field, a passive park with swings, seating and an open-air pavilion that will be a focal point for community events like the popular Night Market. 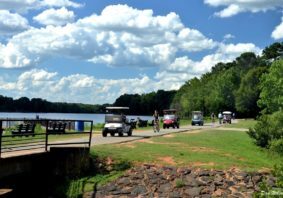 Of course, Peachtree City would not be what it is without the 10,000 golf carts that have become synonymous with the community. Through Facilities Bonds received in 2010 and 2014 and a recently passed Special Purpose Local Option Tax, the city has increased funding for paving roads and the much-traveled multi-use paths. What’s more, the city is making improvements to its beloved Frederick Brown, Jr. Amphitheater (known as The Fred) and its BMX track, as well as building a new skate park and developing a community park on Spyglass Island in Lake Peachtree. And there are more plans in the works to ensure that Peachtree City stays on the cutting-edge while maintaining its community charm. An impressive group of companies call Peachtree City home—and they continue to expand and receive national recognition for the work they do, placing the city in the much-deserved spotlight. A leading aftermarket aviation parts supplier, Aventure Aviation recently received a Georgia Launching Opportunities by Exporting (GLOBE) award from the Georgia Department of Economic Development, which was presented to the company for opening up new international market export sales in 2017. This renowned company produces high-tech materials and components that are used by manufacturers of mechanical products and medical devices. To better serve its customers, the company is adding a 10,000-square-foot expansion to its Peachtree City-based facility. A Japanese-based company, Rinnai chose Peachtree City for its North American headquarters. The organization, which produces tankless water heaters, is tripling the size of its local facility with a $15 million expansion that includes the addition of a North American Innovation and Training Center.